← Bougainville Women’s Federation Survey : Why young women aren’t showing an interest in leadership roles. 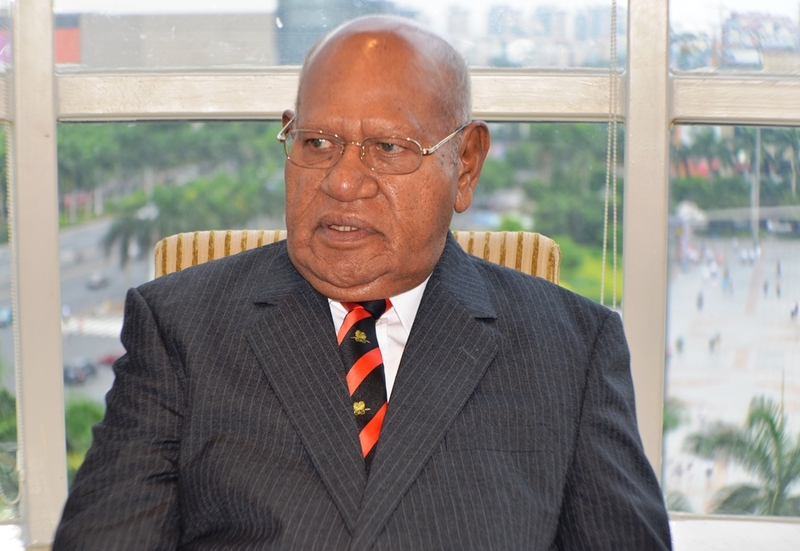 President Momis has announced that the process for selecting the top level management for the ABG had commenced. Advertising closed just over two weeks ago. “I am delighted to say that as a result of extensive advertising the ABG has received a large number of applications, over 160, from a wide range of candidates for the positions of Chief Secretary, 13 departmental heads and the Bougainville Electoral Commissioner. Most positions have over 10 applicants,” said the President. Once the Chief Secretary is appointed the Senior Appointments Committee will meet in January and February next year to make the remaining appointments of departmental heads. This is a realistic timetable given the number of applicants and the background checks that have to be made in the next five weeks. The Bougainville Senior Appointments Committee is made up of President Momis, the Speaker of the House of Representatives, Mr Andrew Miriki, Bishop Tim Arthur representing the churches, Mrs Hona Hollan appointed by the Bougainville Women’s Federation and appointed by the PNG Law Society Mr Hubert Kikira. Under Bougainville law the Committee will receive a report from the independent panel ranking the applicants. The Committee may then decide to reinterview the candidates but it does not have to. The Committee then selects the preferred candidate. The position of Bougainville Electoral Commissioner will also be filled before Christmas. The Bougainville Constitution says that for constitutional offices the National Government must appoint two members to the Committee. The additional members are the Secretary of the Department of Personnel Management Mr John Kali and the PNG Electoral Commissioner Mr Andrew Trawen.